Week 18 – When the rug gets pulled out from underneath you, remember this. Last week I made the decision to say goodbye to my Hay House Radio show. Lots of intimate, meaningful conversations. So many wonderful new friends. It’s been a great run, more fun than I ever expected, and I’m going to miss the heart-to-heart exchanges that have made such a difference in my own life. But it’s time to say goodbye. Thanks so much for listening and for calling in over the years. You’ll be the first to know about the next, new adventure for Coach on Call! When the rug gets pulled out from underneath you, remember this. I’m on the plane heading home from Denver after attending the “I Can Do It” conference. More than 3,000 people showed up, anxious and excited to learn new ways to make positive changes in their lives. As I walked the halls of the convention center, I loved seeing the smiling faces of attendees. People were sharing notes, offering support, and making new friends. It reminded me of a conversation I had last year with one of my own friends who told me she was paying more attention to the experiences that made her smile. She wanted to be sure these activities were given more space in her life. A lot has changed in my life since that conversation a year ago. Back then I was in the middle of change myself, reevaluating so much about my life. These days I’m smiling more. It’s so easy to forget that the key to living a good life is really quite simple. As I sit here on the plane with my friend, John Holland, a kind and thoughtful guy who always makes me laugh, I feel thankful for where I’ve landed in my life these days. Change can make us feel so vulnerable and lost. 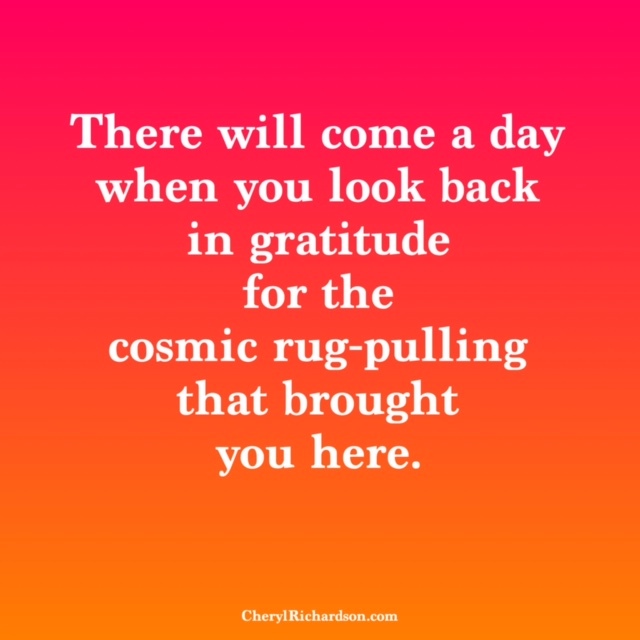 And it’s easy to forget that there will come a day when we look back and feel a deep appreciation for the cosmic rug-pulling that delivers us to a new, better place. I wish that day for you . This week’s video was created by one of my Hay House Radio listeners, a teacher who wrote this song for his children. You can watch it here. Thanks, Mr. Z!